Normally people don’t seem to associate the word fast, or speedy, with the word puzzle. When was the last time you read a headline that stated “… is a super speedy puzzle game you simply can’t miss!” probably never… until today…! 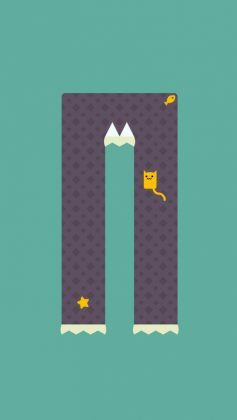 Nekosan is a fast paced puzzle game that may just change your perspective on mobile puzzle games. Set in a 2D world filled with spikes, moving walls, enemies, etc. 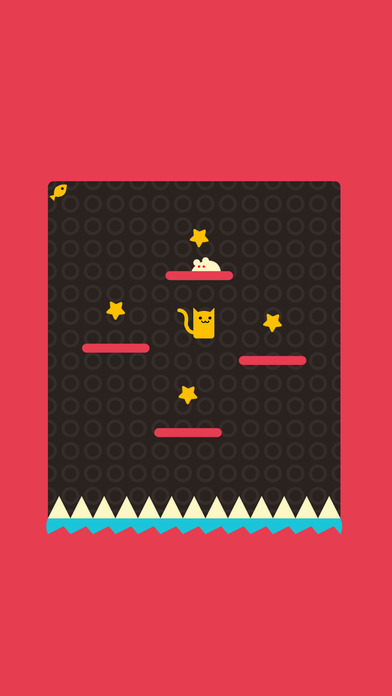 Your mission in this game is to collect all the stars hidden around each level, (plus some fish if you would like to gain extra points), using both the simplest and hardest controls ever featured in a 2D platformer game. 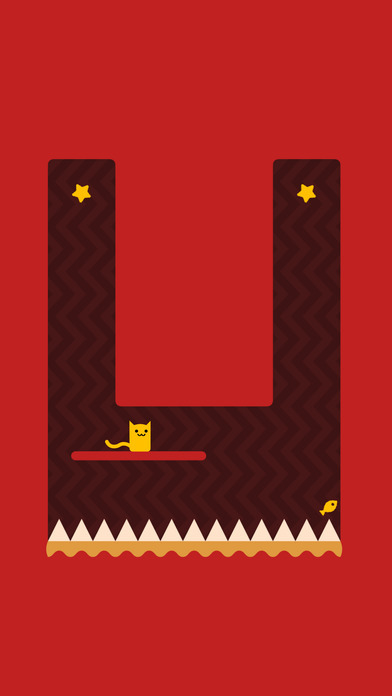 Your player – a cute yellow cat – will endlessly move left or right until it bumps into a wall and stops. 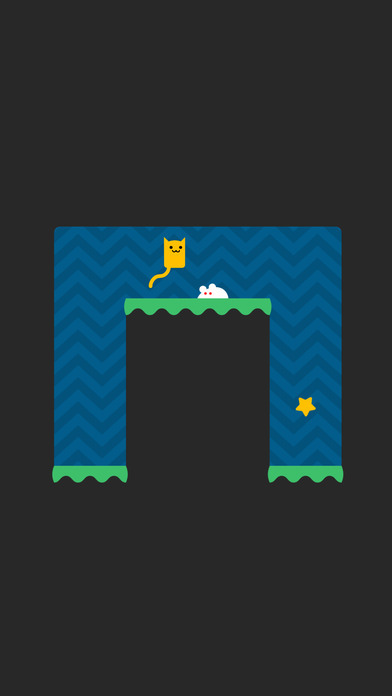 While moving left or right you can jump to collect objects above you, but once you hit a wall you will need to jump/wall jump in order to move the other way. 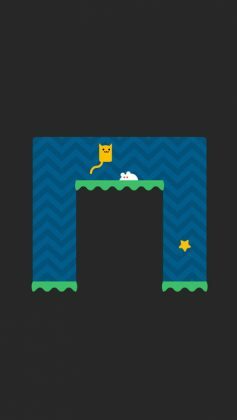 This is all surprisingly confusing at first, and most players will probably find themselves wildly tapping on the screen of their device when they play the game for the first time. 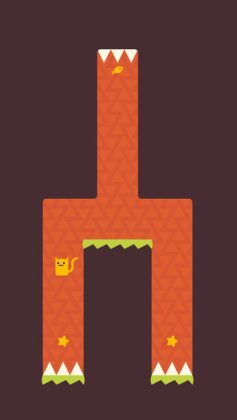 That said, after a few games or so, you should get the hang of things, and be able to figure out where to and where not to go. 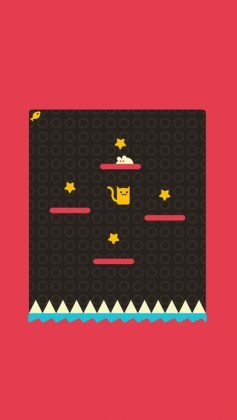 With cute minimal graphics, a gameplay system that isn’t exactly easy or intuitive, but simple enough once you get the hang of it, Nekosan is a game we recommend to both action gamers and puzzle gamers alike. There is something in this game for everyone!